Services - Brentwood Landscape & Design Inc.
Brentwood Landscape & Design focuses on creatively conceived designs and precise implementation. We offer a complete landscape program from site analysis, to design, installation and maintenance. Just as you wouldn’t build a house without architectural plans, you shouldn’t construct your landscape without a plan. Brentwood’s Design Team is educated in Horticulture, Architecture, Construction, Art and Design. Brentwood approaches design as an art as well as a science allowing us to create long lived, one of a kind landscapes. 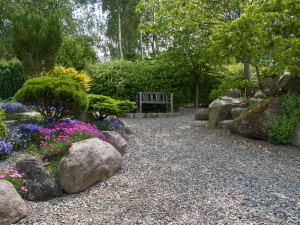 All too often, landscape maintenance is overlooked or taken lightly. Brentwood’s maintenance crews are properly trained in all aspects of ongoing maintenance so that the designer’s intent can be appreciated for years to come.